Vibrant and fun summer days that take you to your happy place. 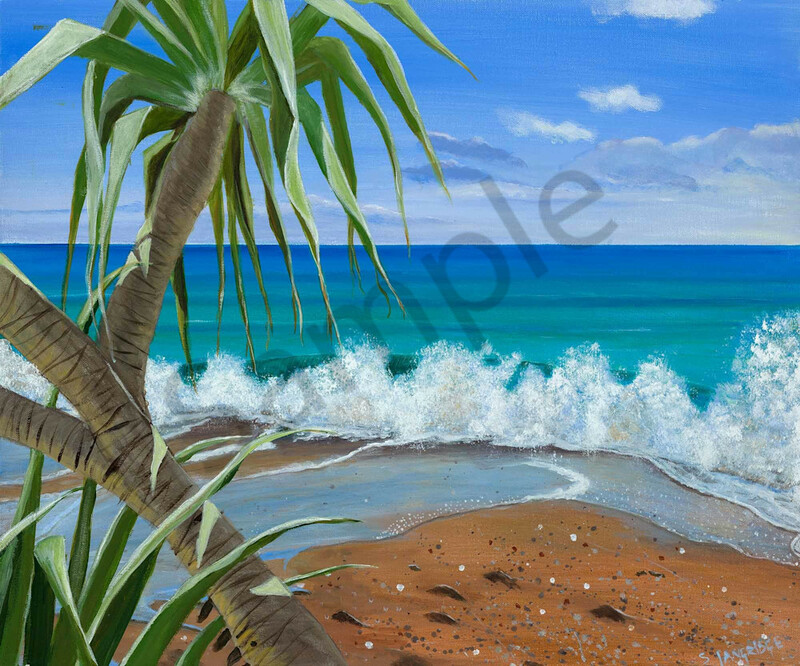 One of my favourite places is Hervey Bay, so when I originally painted this piece it was summer and I was in my personal paradise. The way the light is reflecting through the Pandanus and the way the waves are crashing on the beach gives me an uplifting summer vibe every time I look at it.